The Tredagain Claystone offers quality construction, sturdy to the touch, thick but supple leather, and a comfortable, cradling fit! As I open the box and remove the Tredagain Claystone boots, the leather upper gives a combination of an aged, distressed appearance. Tredagain describes it as a full-grain waxed upper. 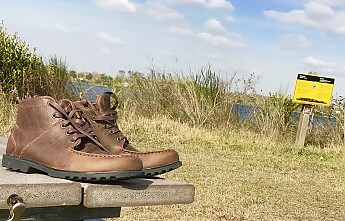 I find the classic moccasin toe of the Claystone model attractive and stylish. Tredagain branded the Claystone an Oxford, but I would describe it more as a "chukka" boot. The "tricot" style liner mimics a suede-like appearance visually and to the touch. 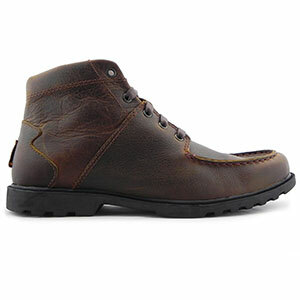 The shoelaces give the appearance of leather the same coloring of the boot leather. No clue if this was a forethought by the manufacturer, but a nice touch. I did find that it was necessary to double knot said shoelaces or they came untied due to their slickness. Boot upper stitiching appears uniform and stylish in accents. The bonding of the APX rubber sole to the leather upper is well done, leaving no trace of glue marks on or puckers in the leather. 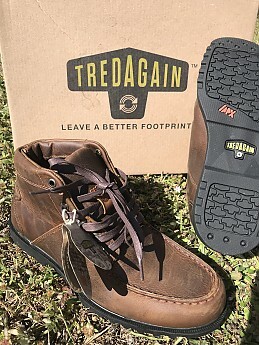 As you read about Tredagain you learn every outsole contains 50% upcycled rubber compound called APX. All upcycled soles are produced here in the US of A! Diverting roughly 3,000 tires yearly from landfills and converting them into clean rubber compounds. How's that for sustainability? Their company mantra: "Leave A Better Footprint." Gotta love that! Tredagain is based in Austin, Texas. 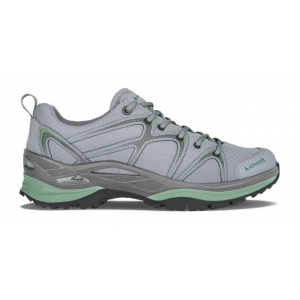 The sole appears rugged and durable, yet is quite flexible. Nothing is noted on the Tredagain website about the Claystone possessing a shank of any type for added support or protection and I was able to feel rocks, branches and such pressing up into the bottom of the footbed while hiking. 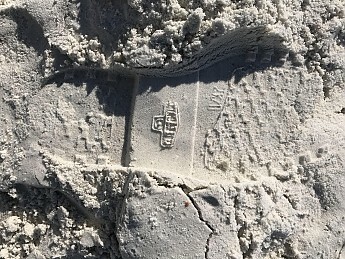 I also noticed the tight tread lines picked up and retained tiny pebbles, shell, etc from the trails I hiked, so I would not describe the sole as self-cleaning. Casual wear created no such problem. Remarkably, much thought went into the removable antomical footbed. It is well-cushioned, comfortable, and thicker than what most companies provide. 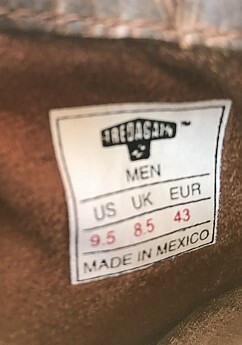 Wearability: I found the Tredagain Claystone Oxford model true to size, just as the company representative advised when I inquired. I wear a 9.5 in almost all my shoes/boots…and the Claystone Oxford's in 9.5 fit nicely. If comfort is king…the Tredagain Claystone Oxford's reign! 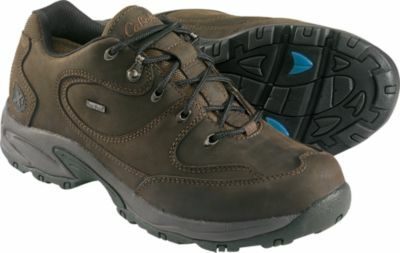 Although, I'll keep that in an urban or casual hiking setting. These are not technical boots. 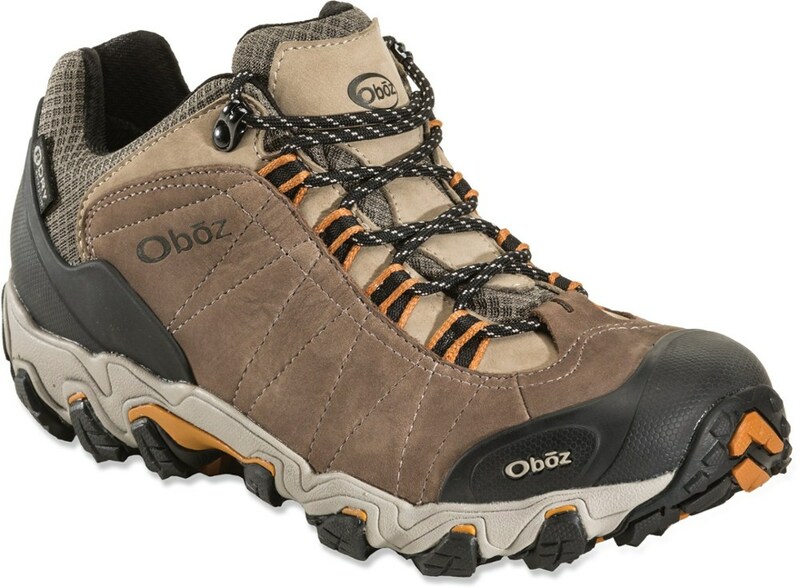 I would not recommend them for backpacking or treking on rock strewn trails as they lack the torsional or vertical support my feet need in footwear. I do see myself wearing the Claystone Oxfords often for everyday use. 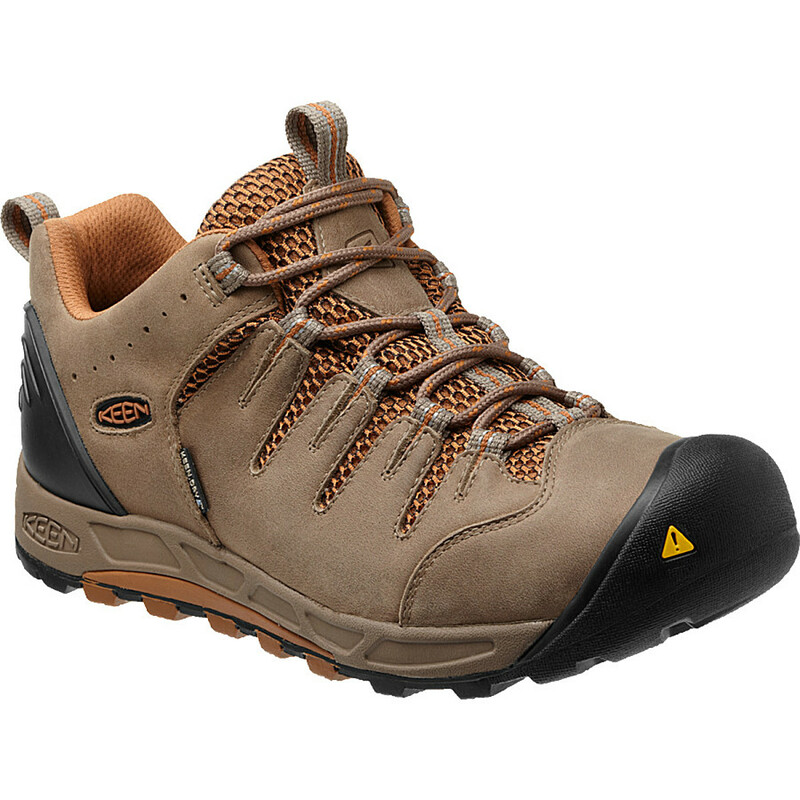 It should be noted that Tredagain does not advertise the Claystone Oxford as a hiking or backpacking boot. 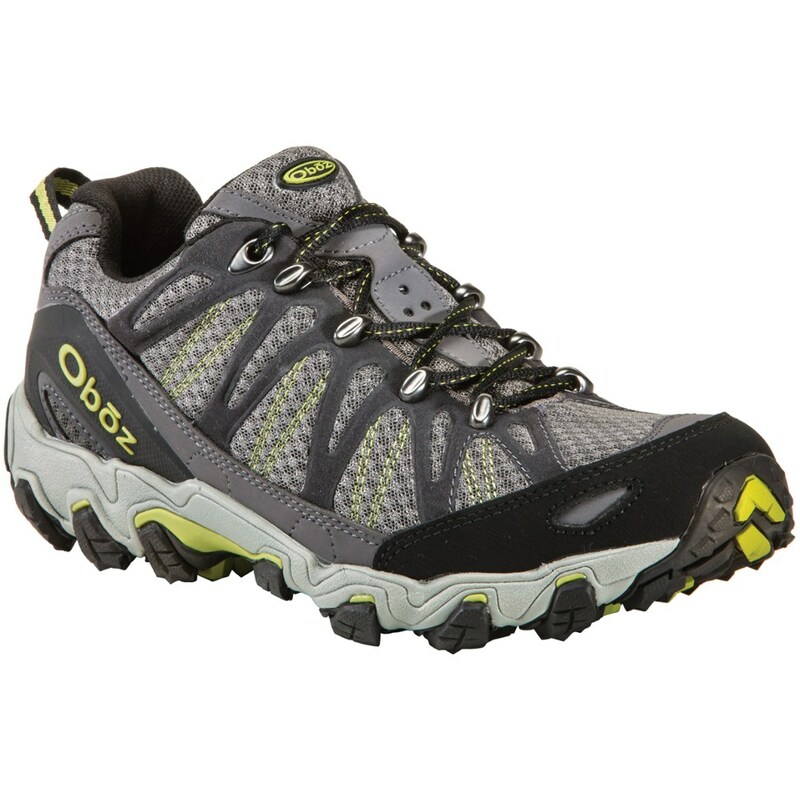 Be forewarned: The shoes possess a very strong leather treatment odor initially. Think new baseball mitt smell. Personally, I like the smell, but other household members and vehicle passengers may find it overpowering. 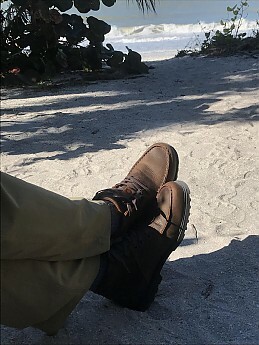 Parting shots: I like the boots..a lot, and I look forward to their longevity. But what sets this company apart from (and ahead of) many other companies is their customer service. What attracts and keeps me loyal to product brands, is both dependable, durable goods and excellent customer service. When I called Tredagain with a question, a real live young lady answered the phone. She entertained and answered my questions, gave me her name and advised to call and ask for her personally, if there was ever a problem. To me…that's huge! 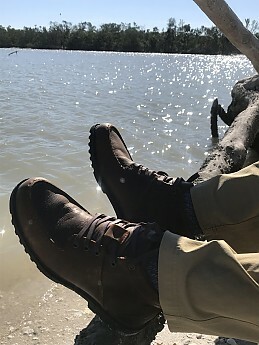 Tredagain Claystone Oxford boots receive 5 stars from me! Sound like some nice boots. Thanks for the review. Thanks for the review, CY. They are good looking shoes. How many miles do you think you have on your pair so far? The Tredagain Claystone is not available from the stores we monitor.